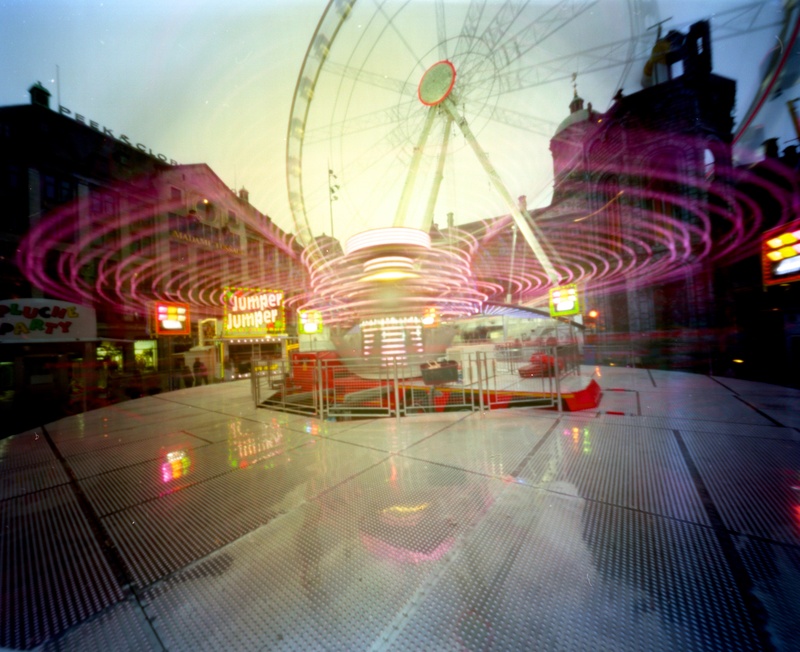 Last year I was lucky enough to be in Amsterdam for World Wide Pinhole Photography Day. It was great to spend a day with other pinhole enthusiasts. This year many people from the same group will travel to the pacific north west of the USA. My original holiday plans for this year included joining them but life has conspired against me and I will have to give the trip to the US a miss this April. One of the great joys of shooting with so many people last year was that we had a common gallery on the WPPD website after the event that allowed us to see what each other had produced as our image for the day. I had feared that I would miss out on that this year. My fears were premature – fellow pin-holer and Amsterdam participant Danny came up with a great idea! He has suggested that as many of us as possible should try and shoot at exactly 12:00 GMT this will give us a gallery of shots from people all over Europe. Participation is easy and I like the idea of a Europe wide pinhole snap shot. When you upload your pinhole photo tag it with the EUR1200 group.